You are here: Home / General / Mama Mia! The Best Super Mario Bros Gifts Ever! Mama Mia! The Best Super Mario Bros Gifts Ever! Super Mario Bros started as a platform video game created by Nintendo around 1985 and has been a great success that even the generation today loves it the same way the generation before did. It is about the great adventure of Mario and Luigi. The story goes by saving Princess Toadstool from Bowser in the Mushroom Kingdom. What I love about this game are the pipe portals I earn more coins whenever I enter one. If you are thinking about giving a Super Mario themed gift, this is the best spot to look for some ideas. Take a look at these great selections of Mario Bros. gifts that will surely leave a smile to its recipient. 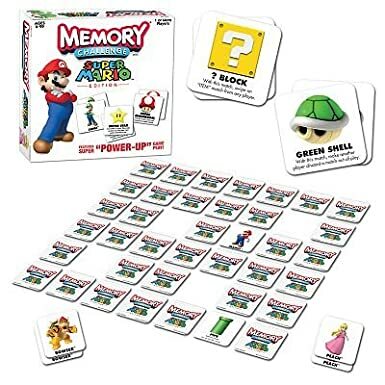 Challenge your Super Mario memory! This gift idea includes 20 item cards and 54 character cards that you find in the original game. This can be played solo or by groups. Well it is more fun if this is played with friends or family members. Anyone can play this game, from kids to adults and even those who are kids at heart. 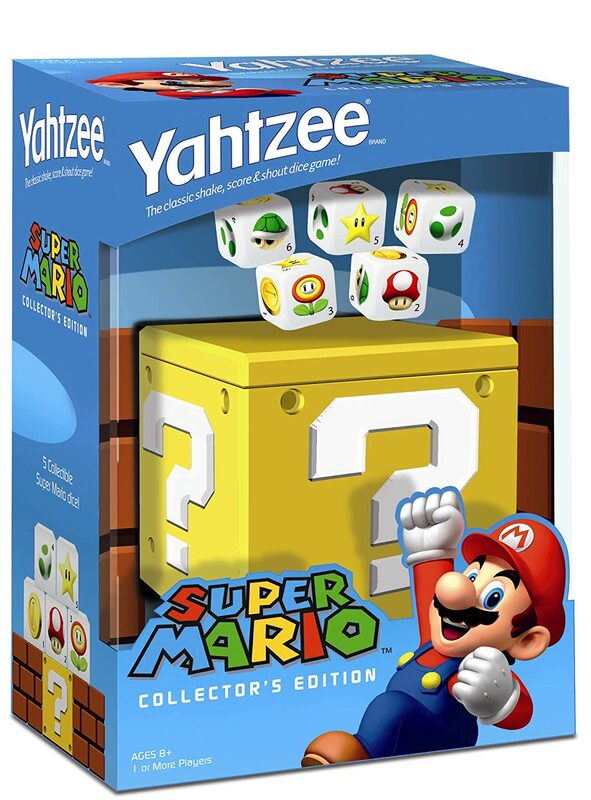 This is also a great present to give a Super Mario fan; this will be an addition to his or her precious collections. I am a Super Mario fan since I learned to play this game until know. Gaming console changes but the excitement and fun playing Super Mario didn’t change. This Nintendo Wall graphics makes you feel like you are really in the game. It transforms a normal room into a Super Mario World; it is just that you don’t have to squeeze in to the pipe portals to get there. There are good things if found about this gift item; first it is re-stickable second is it is paint and odor free. This is a perfect gift for those Mario fans that doesn’t know how to paint or allergic to paint’s strong scents. This is my favorite Super Mario power-up. Whenever is see the leaf to transform Mario or Luigi into a Tanooki character I feel so excited because it can do a lot and fight more than a regular Mario or Luigi. 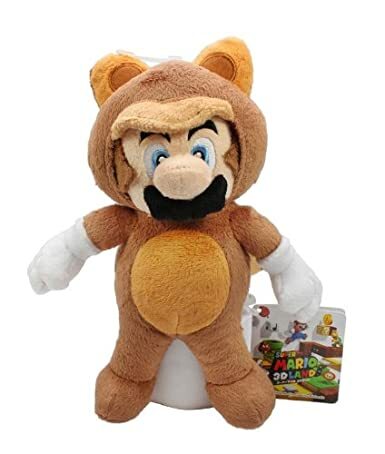 One thing more Mario looks cute when he is in a Tanooki suit. This shirt is also a cute gift to give someone. It can be given on any type of occasion. This Tanooki shirt is made of 100% cotton and sure not to shrink after washing. You will never go wrong in giving this gift item. It is so cute and very well made. This is a gift that anyone can recommend someone who has a child or a friend who is a Super Mario fan. This plush can be an addition to their collection. This novelty item is made of good quality product, has a cute design and a very soft texture. It can be put on a shelf for display or can be cuddled for comfort. This is a good buy for a gift or to keep it. Perfect for Mario fanatic and kids as well. It has good quality and condition. You get 18 pieces of Super Mario Bros figures. It is good as a gift, toy, and collection or just for display. It can be displayed on a work table, living room or it can be put on top of a birthday cake for additional surprise! This is a great pick that suits any occasion. Why don’t you start completing your own Super Mario collection too? It features 5 custom dice that is decorated with the gaming world’s power ups from the most famous Super Mario Brother Game. This dice game is America’s #1 all time dice game. This only shows that this is a great pick as a gift because you know that a lot of gamers and fan enjoys this game. This gift idea also comes with a collectible travel sized dice cup lid. This is a must have for a Super Mario collector, you can play or keep it instead to keep its value. To preserve the look of the dice, you have to cover it with clear nail polish before rolling it. Super Mario Bros is a popular game for all ages. Enjoy the most popular game of all time even without a gaming console. 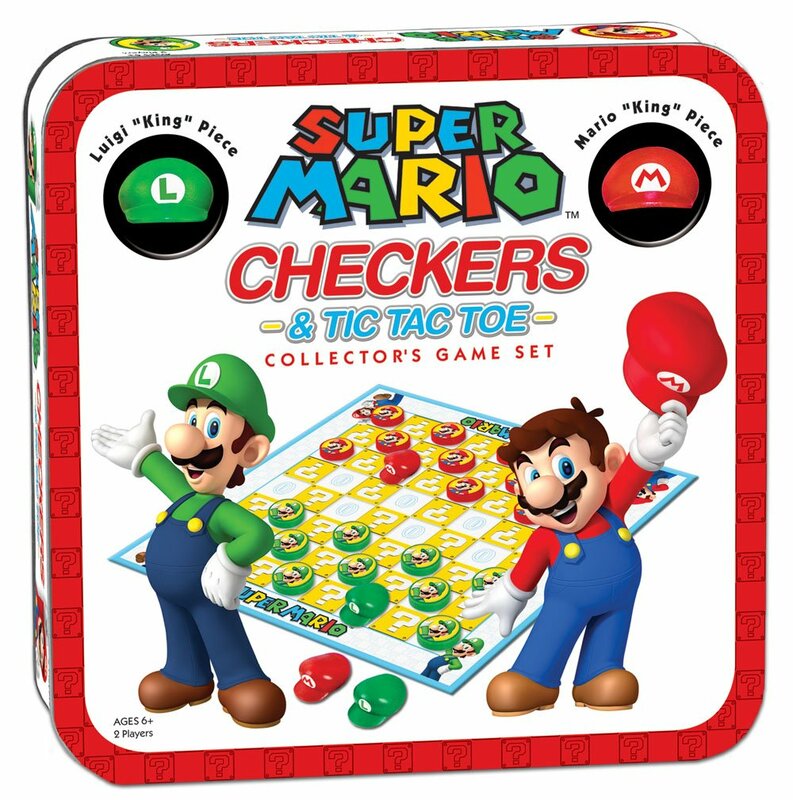 Super Mario Brothers is a classic game that perfectly created in a classic game like tic tack toe and checkers. It is an easy game to play even kids can learn to play this game very quick. It is a perfect gift to share for young gamers and even those young at hearts. Mario and Luigi always come in tandem. This gift idea is a great gift package in one price; you were able to give both characters in one gift idea. 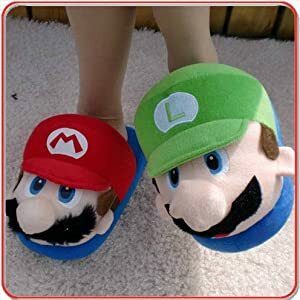 Mario and Luigi are inseparable just like these slippers the right one are useless without the left side. They work together for a fantastic performance. Whoever receives this gift will really enjoy wearing them and it will also save wear and tear on socks too! 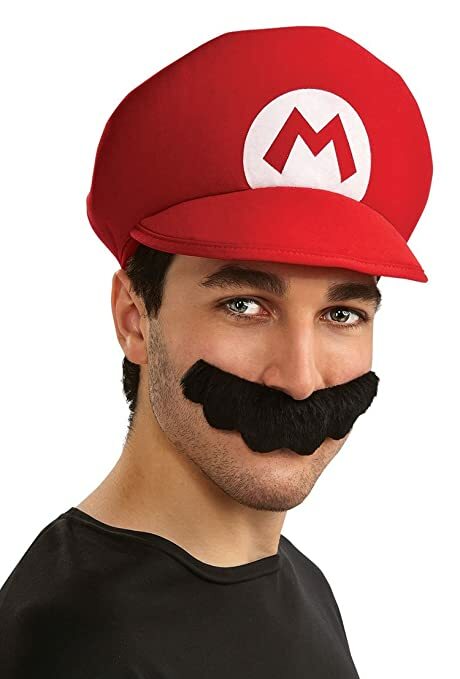 This officially licensed Mario costume will complete your Super Mario costume. Made from 100% polyester, washable cloth and has vibrant colors. You wouldn’t worry about the quality of this product because it is a product of one of the world’s leader in costume making. They have contributed a lot in the costume industry for more than 60 years and yet they are still managed and keep the quality they shared from the time they started. You wouldn’t think twice in giving this as a gift because you are sure of its quality. If you want to share fun with someone special or looking for a gift that won’t bore the recipient this gift suggestion hits the spot. This is a must have for kids and kids at heart who loves Mario Brothers. It is also a cool alternative to video games. It also enhances the player’s mind just like the classic chess game. 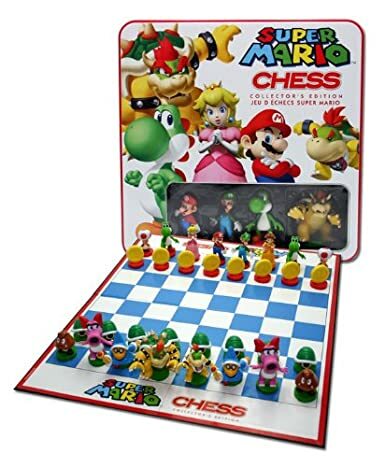 This can be a way to introduce chess to kids or it can also be an additional item for a Super Mario fan. It can be given in any type of occasion whether it is a Birthday or Christmas gift it still going to be a fabulous gift to give.